This classic lasagna is made with an easy meat sauce as the base. Layer the sauce with noodles and cheese, then bake until bubbly! This is great for feeding a big family, and freezes well, too. Everyone loves a good lasagna, right? It’s a great way to feed a crowd and a perfect dish to bring to a potluck. It freezes well. It reheats well. Leftovers will keep you happy for days. Simply Recipes reader Alton Hoover sent me his favorite recipe for lasagna which he has been cooking since his college days. Alton’s original recipe created enough lasagna for a small army so I halved it. What is posted here will easily serve eight people. From what I can tell, the secret behind Alton’s lasagna is the addition of a little sugar to the sauce and using a bit more cheese than most other recipes. There are a few minor tweaks to his original recipe that I found necessary, for example adding a dash of wine vinegar to the sauce and changing the amount of Parmesan cheese. Start by making the sauce with ground beef, bell peppers, onions, and a combo of tomato sauce, tomato paste, and crushed tomatoes. The three kinds of tomatoes gives the sauce great depth of flavor. Let this simmer while you boil the noodles and get the cheeses ready. We’re using ricotta, shredded mozzarella, and parmesan — like the mix of tomatoes, this 3-cheese blend gives the lasagna great flavor! From there, it’s just an assembly job. A cup of meat sauce, a layer of noodles, more sauce, followed by a layer of cheese. Repeat until you have three layers and have used up all the ingredients. Bake until bubbly and you’re ready to eat! At least half the pleasure of making a lasagna is enjoying the leftovers! They will keep in the fridge for at least 5 days. Reheat individual slices in the microwave, or warm the whole casserole (covered with foil) in the oven at 350°F until bubbly again. You can also freeze the lasagna either baked or unbaked. To freeze an unbaked lasagna: Line the pan with foil before assembling, then assemble the lasagna as directly. Let cool completely, and then freeze until solid. Once frozen, lift the frozen lasagna block from the casserole dish, wrap it in more foil, then freeze for up to a month. To reheat an unbaked frozen lasagna: Remove the lasagna from the freezer and unwrap all the layers of foil. Transfer to the original casserole dish, cover, and let it thaw in the fridge overnight. Once thawed, bake as directed. To freeze baked lasagna: Line the pan with foil before assembling, then assemble and bake as directed. Let it cool completely, then freeze until solid. Once frozen, lift the frozen lasagna block from the casserole dish, wrap it in more foil, then freeze for up to a month. To reheat a baked lasagna: Remove the lasagna from the freezer and unwrap all the layers of foil. Transfer to the original casserole dish, cover, and let it thaw in the fridge overnight. Once thawed, warm the whole casserole (covered with foil) in the oven at 350°F until bubbly again. 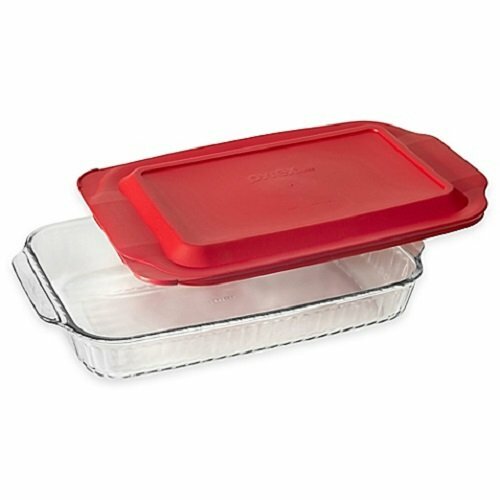 To freeze and reheat individual slices: Cut the baked and cooled casserole into slices and wrap each slice individually in foil. Combine them in a freezer storage bag and freeze for up to 1 month. Thaw overnight in the fridge. To reheat, unwrap from the foil, place on a microwave-safe dish, and reheat in the microwave for a few minutes until bubbly. Looking for More Great Lasagna Recipes?! Watch the Video for How to Make Lasagna! Updated February 19, 2019 : We spiffed up this post to make it sparkle! No changes to the recipe itself. 1 Put pasta water on to boil: Put a large pot of salted water (1 Tbsp salt for every 2 quarts of water) on the stovetop on high heat. It can take a while for a large pot of water to come to a boil (this will be your pasta water), so prepare the sauce in the next steps while the water is heating. 2 Brown the ground beef: In a large skillet heat 2 teaspoons of olive oil on medium high heat. Add the ground beef and cook until it is lightly browned on all sides. Remove the beef with a slotted spoon to a bowl. Drain off all but a tablespoon of fat. 3 Cook the bell pepper, onions, garlic, add back the beef: Add the diced bell pepper and onions to skillet (in the photo we are using yellow bell pepper and red onions). Cook for 4 to 5 minutes, until the onions are translucent and the peppers softened. Add the minced garlic and cook half a minute more. Return the browned ground beef to the pan. Stir to combine, reduce the heat to low and cook for another 5 minutes. 4 Transfer to medium sized pot, add tomatoes and remaining sauce ingredients to build the sauce: Transfer the beef mixture to a medium sized (3- to 4-quart) pot. Add the crushed tomatoes, tomato sauce, and tomato paste to the pot. Add the parsley, oregano, and Italian seasonings, adjusting the amounts to taste. Sprinkle with garlic powder and/or garlic salt, to taste. Add salt to taste, and note that you will later be adding Parmesan, which is salty. Bring the sauce to a simmer and then lower the heat to maintain a low simmer. Cook for 15 to 45 minutes, stirring often. Scrape the bottom of the pot every so often so nothing sticks to the bottom and scorches. Stir often to prevent from sticking. Make sure that water remains at a full rolling boil during the entire cooking to prevent noodles from sticking. When ready, drain in a colander and rinse with cool water, gently separating any noodles that may be sticking together. Spread a little olive oil on a large rimmed baking sheet, and lay out the cooked noodles on this sheet, turning them over so that they get coated with a little of the olive oil. This will prevent them from sticking together. 6 Heat the oven to 375°F. 7 Assemble the lasagna: In a 9x13-inch casserole or lasagna dish, ladle a cup of sauce and spread it over the bottom of the dish. Arrange one layer of lasagna noodles lengthwise (about 3 long noodles, edge may overlap, depending on your pan) over the sauce. Ladle a third of the remaining sauce over the noodles. Sprinkle a layer of a third of the grated mozzarella on top of lasagna sauce. Add half of the ricotta cheese, by placing cheese dollops every couple inches. Sprinkle half the grated parmesan cheese evenly over the top of ricotta cheese. Apply second layer of noodles, top it with half of the remaining sauce. Add half of the remaining Mozzarella, the remaining ricotta cheese, and another the remaining Parmesan. Finish with another layer of noodles. Spread the remaining sauce over the top layer of noodles and sprinkle with the remaining Mozzarella cheese. 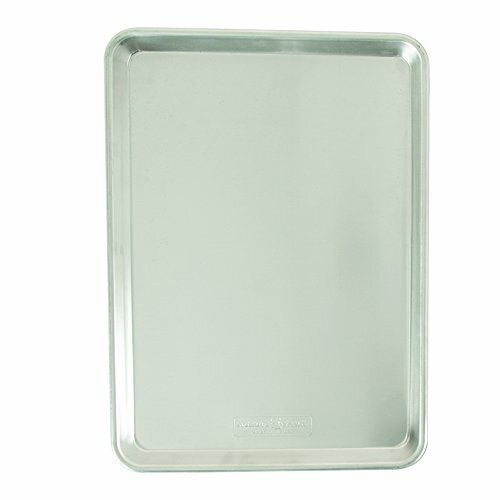 8 Bake: Cover the lasagna pan with aluminum foil, tented slightly so it doesn't touch the noodles or sauce). Bake at 375°F for 45 minutes. Uncover in the last 10 minutes if you'd like more of a crusty top or edges. Hello! All photos and content are copyright protected. Please do not use our photos without prior written permission. If you wish to republish this recipe, please rewrite the recipe in your own unique words and link back to Lasagna on Simply Recipes. Thank you! 5 4 3 2 1 Did you make it? Rate it! This is the best lasagna recipe I’ve ever found. Such a perfect and proportionate amount of everything. I’ll never make another recipe. This is the one! Thanks!!! 1 lb. of beef not enough for 8 people, but overall a very good classic dish. I loved the adding of vinegar (balsamic) it brightened up the taste and enjoyment. Delicious BUT prep time 15 min? Hardly . Chop the pepper and onions, cook meat then the veggies for 5 min, then back together again. Add tomatoe products after opening 3 cans, scrapping interiors-.-.-, mix together in 15 min??? Ok can grate cheeses while sauce is cooking, also use uncooked pasta but just assembling all together takes 15min. Hi Audrey, glad you liked the recipe! I think of prep time as chopping the vegetables and slicing the cheese. I include cooking the meat and lasagna noodles in the total cooking time. Yum! Made it gluten free using GF lasagna noodles. I have made this recipe with ground turkey and ground beef. It’s fantastic either way. The only miss in my opinion is the vinegar. The first time I made the recipe I added the vinegar per the instructions and my entire family disliked it . What is the vinegar just did not belong. Now I just omit it and it’s a winner for us. When I can I use a high-quality organic ricotta and mozzarella and it’s really out of this world. This is a great recipe! The best lasagna I’ve made to date. I simply made it with 2 pounds of regular hamburger (removing the grease) and it was perfect! Thanks!!! I have seen numerous recipes for lasagna but this seemed most doable for me. I tried it with a few minor adjustments as i could not locate some of the ingredients called for, but on checking a couple more recipes I felt better about the substitutions. I use mexican sausages and a 5 cheese blend, plus parmesan.Needless to say, it turned out great! It has actually become my signature meal to prepare when I want to make an impression. My husband considers himself the household chef but defers to me when it comes to lasagna. Similarly, my coworkers request it on special occasions. Thank you for this recipe! I am about to bake another 3 dishes today for my home and office!!! Made it!! Turned out great!! Followed the directions verbatim. I doubled the recipe and added 2lbs sweet Italian sausage and cooked it with the beef. Turned out lovely!! This lasagna recipe is always a BIG HIT each time I make it for my family! 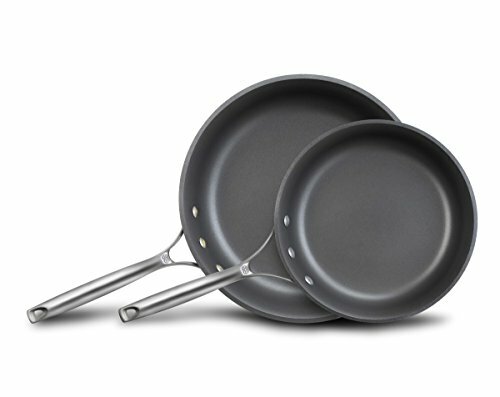 I have to make sure that the ingredients and measurements are always X2 because one pan would not lasts for my growing kids. Thank you Simply Recipes for sharing this to all of us! We truly appreciate it! Kudos to your Awesome TEAM! Thank you Leslie and family! I add zucchini, and yellow squash, so we have our veggies, too. Great way to ‘sneak ‘ extra nutrients in any casserole style dish, when you have picky eaters! Awesome, I substituted ground venison for the ground chuck, mixed the Italian spices with the meat previous to browning. Also used large curd cottage cheese instead of the ricotta cheese. We had thumbs up all around. It’s a good sign when there is no conversation during a meal!!!! Thanks! Delicious! I’ve made this 6-7 times now! I like to add a layer of spinach (from a frozen bag, thawed then drained underneath the ricotta layer), mushrooms, double the garlic, and add red Chile flakes or cayenne for a kick! Just want to check if this is freezer safe as I like to cook in bulk and then freeze? Hi Harry, I know that the recipe as written is fine for the freezer. Not so sure about the roux layer, but it should work. I Love this recipe. I recently made some spaghetti sauce and am wondering about how many cups of sauce I’ll need to make this? Thank you!! Hi Casi, good question! I don’t know what to tell you. I would just look at the photos in the recipe and eyeball it. This is a very good basic recipe, with one major exception. When browning ground beef for any recipe, you really should season the meat before browning it. Otherwise, the meat will never absorb the seasonings properly. I learned this lesson many years ago when I participated in chili cook off competitions. Another suggestion, if you like tweaking recipes to make them your own, is to mix the cheeses together along with an egg or two and some fresh chopped parsley, reserving a little of the mozzarella and parmesan to sprinkle on top. The recipe is great as it is but I think my tips will make it even better. Thanks for posting it. This lasagna was absolutely deliciously the best. My family loved it!!! Thanks for the recipe, I will be using it again!! !